Los felicito por la app. Es muy buena. Solo le falta el enlace con el Apple Watch. Poder usar la app con el reloj. Medir la frecuencia cardiaca. Pausar. Etc. 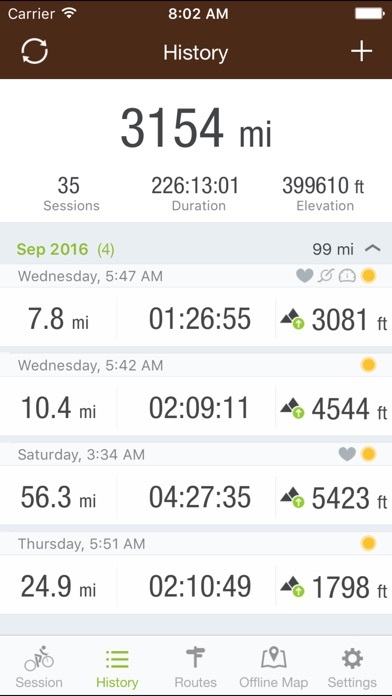 I have been using MountainBike app since 2012. 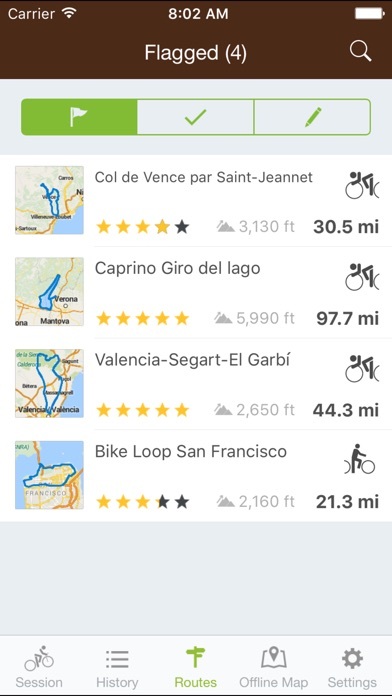 By far is the Best and only app I use when I’m riding.Way to go..
I’ve been using this app since 2014! 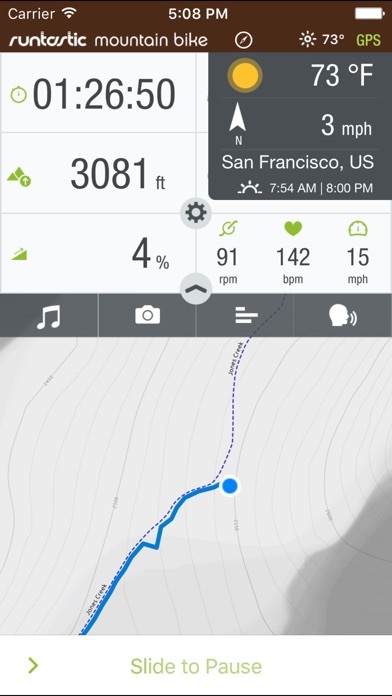 I preferred it over Strava for Mountain Biking. However, it’s getting a bit dated - it’s not updated very often. For example, it does format properly on the iPhone X. To start off I’ve been using this app for over a year now and really enjoy it, definitely worth the investment. I use this both for mountain biking and road cycling and can only think of two issues that bother me. 1st no night mode, there really should be an option in the app to switch over for those of us that ride at night. 2nd is if the app loses com with the speed sensor it stops logging distance even if the gps is enabled, would like to see it switch over automatically instead of having to disable the sensors. Don’t let these issues detract too much from what otherwise is great app. Please add Apple Watch heart rate monitor support and earn 5 stars. 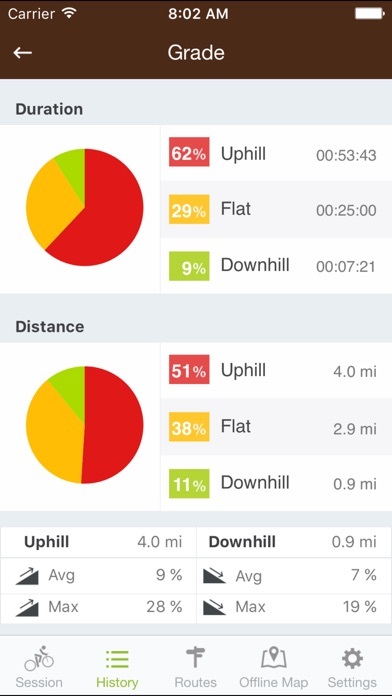 I left an earlier review that mention the program was shutting down a mile or so into my ride. It looks like they fixed that. Works fine. Great app except lack of Apple Watch support. I want this app to work with Apple Watch so badly. It would be a definite 5 stars of it did. 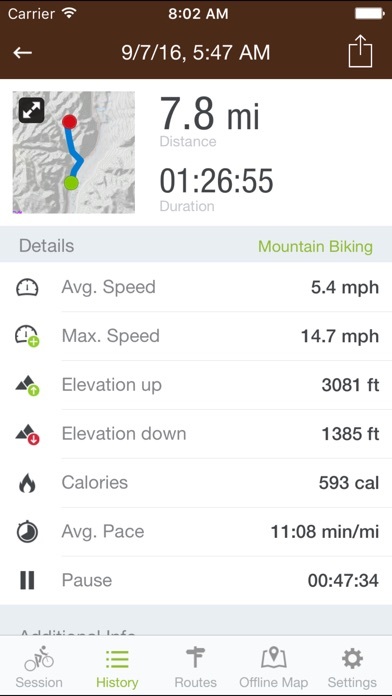 I still use it but if I see something better that has Apple Watch functionality got MTB. I will be most temped to switch. App stopped working stuck on TERMS & CONDITIONS Was a very good app but now can’t be used that’s after having paid for it a few years ago now just blocked from using it no matter how many time I press accept!! !